I ate the remaining cupcake today, The American. I didn’t realize it had Red Velvet cake at the bottom. UGH! 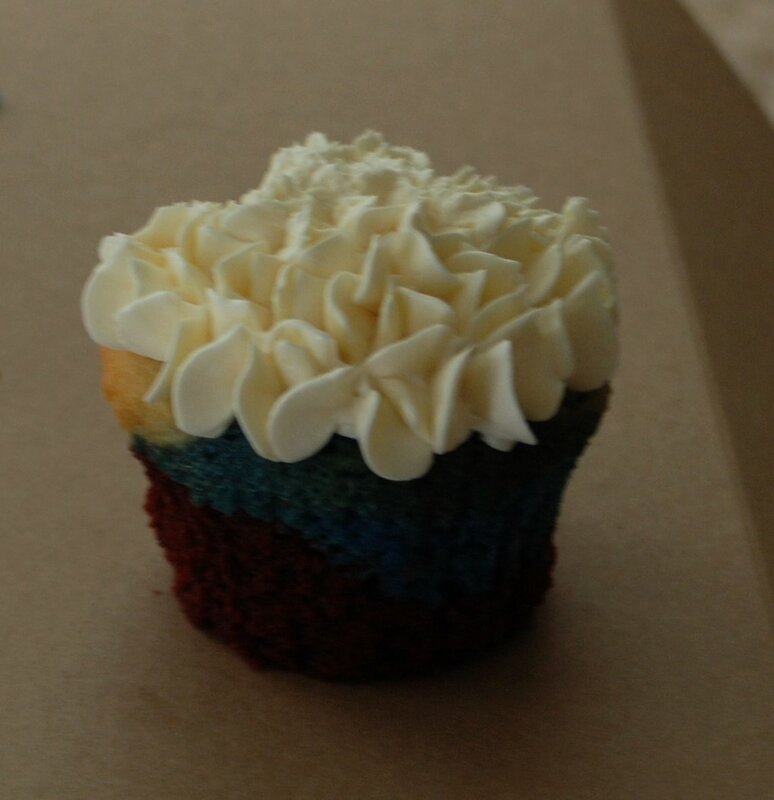 American Cupcake: A bit blurry, but colors are visible. So the American Cupcake was cute. Red Velvet on the bottom, then almond cake dyed blue, then white cake, then white icing. So much dye! So much cake that tasted like food coloring. Oh, well! It was the Yellow Leaf cupcake for charity, so someone got $1 from my purchase.